Check the Events Page for upcoming restoration events! 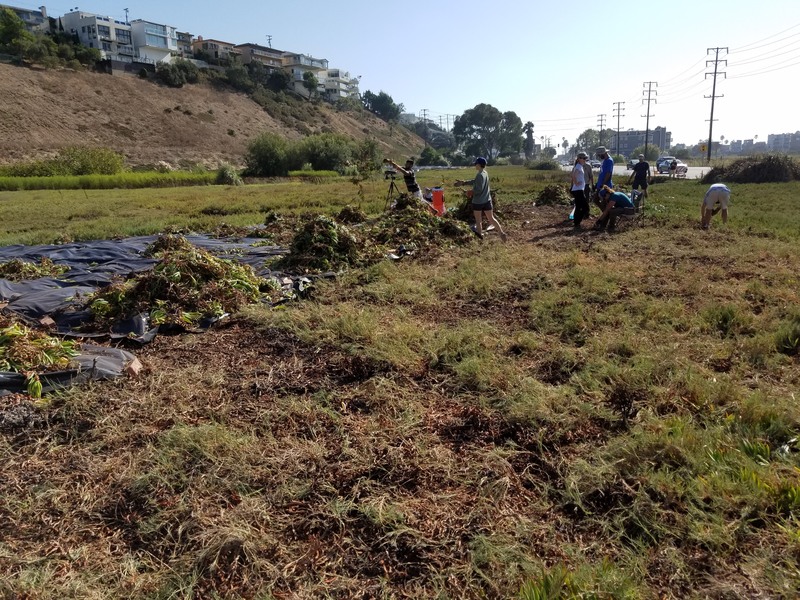 The Bay Foundation (TBF), in partnership with the California Department of Fish and Wildlife, received Wetland Recovery Project Community Restoration Grant Program funds to manually remove invasive vegetation while broadening community and public involvement and stewardship at the Ballona Wetlands Ecological Reserve. In late-2016, TBF organized several public, community events that provided a diverse range of community members and students the opportunity to participate in hands-on wetland restoration activities that began restoration of approximately three acres of degraded wetland habitat. Restoration activities are in accordance with CDP No. 5-15-1427. How did iceplant become a resident in the Ballona Wetlands? Over 96% of the vegetated estuarine wetlands have been lost over the past century and a half in the Los Angeles region. The Reserve, located on the Los Angeles County coast, is an example of this phenomenon, having suffered from over a century of abuse and land degradation. Historically a bar-built estuary of over 2,100 acres, the Reserve has been reduced in size to less than 600 acres of open space, with over half of the vegetated habitats dominated by non-native species and with significantly reduced or absent ecosystem functions. Currently, only approximately one-quarter of the Reserve is considered delineated wetlands. Similarly to the rest of the site, much of the remaining wetland habitats suffer from invasive and non-native species encroachment. There are over 35 acres of iceplant throughout the site, and 10 acres of iceplant concentrated south of Culver Boulevard in Area B, in large patches within the wetland and adjacent sandy dune habitats. 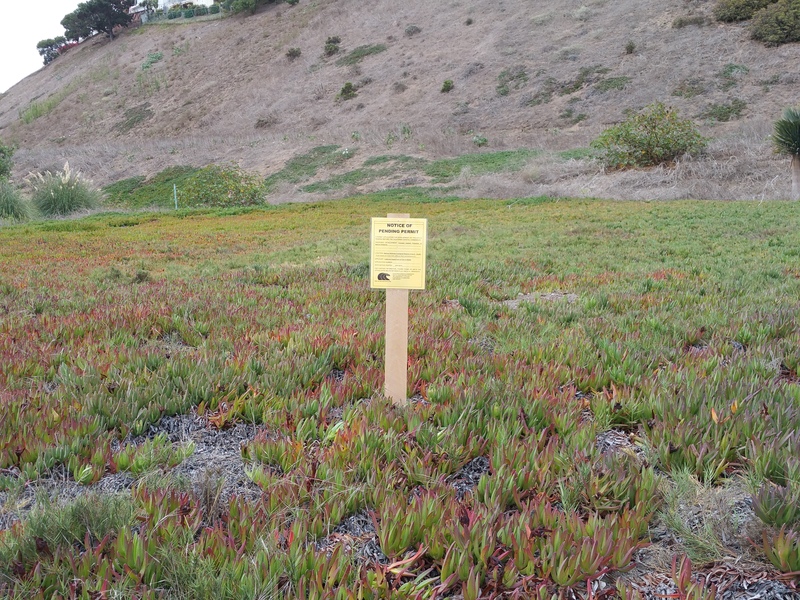 What makes iceplant so invasive? 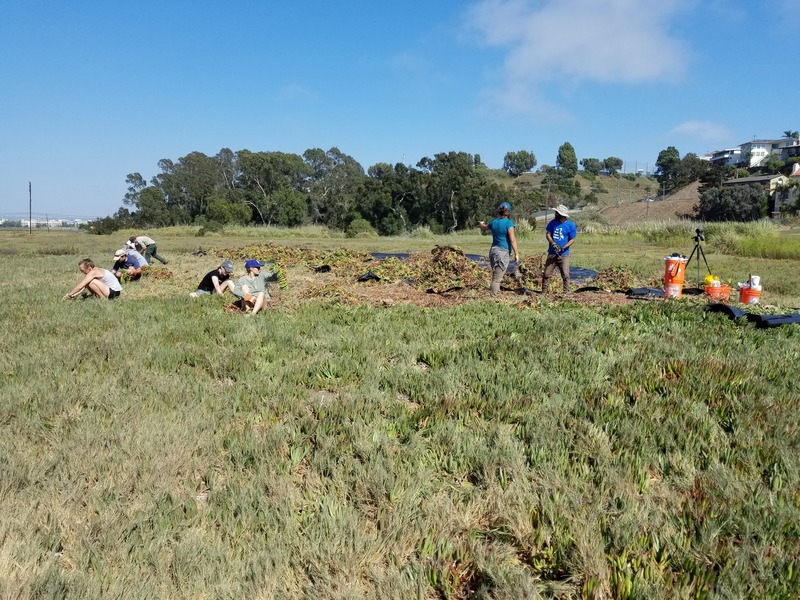 Removing iceplant and other non-native vegetation on-site will help protect the remaining native flora that will be critical to the revegetation of the Reserve for the larger multi-year restoration effort. Iceplant is a creeping, mat-forming group of species that form dense monocultures causing a reduction in biodiversity and competing directly with native wetland species. Iceplant provides little protection or useable habitat for native birds and wildlife. Additionally, its shallow, fibrous root network consumes large quantities of available water year round further impeding the growth of native species with the largest impact occurring during times of drought. Most significantly, the highly competitive characteristics of iceplant for available nutrients, water, light, and space allows it to suppress the growth of small native seedlings and often results in the growth of large, monospecific stands providing minimal habitat value. Click HERE for links to successful iceplant removal projects. The removal of dense iceplant stands, and the subsequent introduction of native wetland species, will provide an increase in the health and condition of the wetland habitats. New vegetation will also increase native biodiversity and provide healthier habitat for several endangered and special concern species such as the Belding’s savannah sparrow (Passerculus sandwichensis beldingi) and South Coast marsh vole (Microtus californicus stephensi).